Happy New Year 2012! A new year, perhaps the one where everything ends on December 21st if the Mayans were right. Not that I put any weight on that prediction, but I can't believe this year has finally arrived. No resolutions, other than to write more blog posts than I did in 2011. 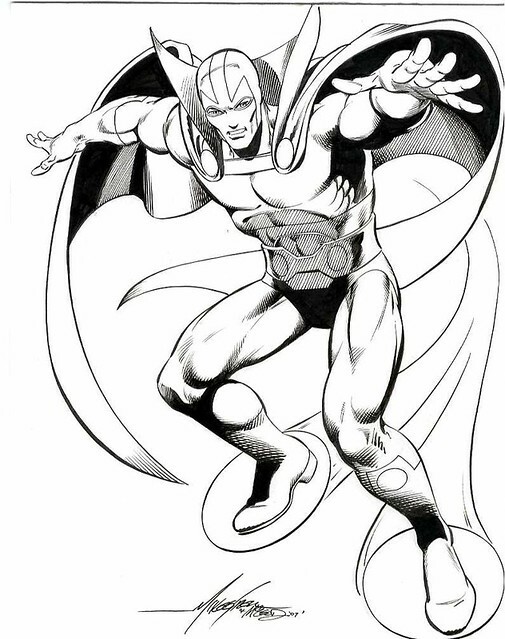 I stumbled across this great commission of Mister Miracle by Mike Grell and Bob McLeod on Kirk Dilbeck's gallery on ComicArtFans. My prediction: 2012 will see Scott Free's aerodiscs in mass production. Nuff Said!